Perfect for both collectors and reenactors, this Medieval dungeon neck collar is built solid using hand-forged high carbon steel. 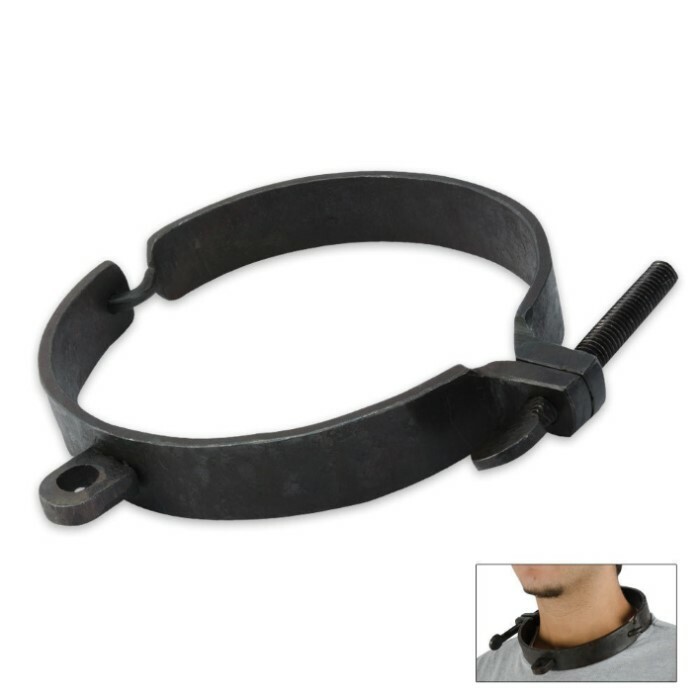 It is heavy and tough, just like neck collars from the Medieval period. This piece is fully functional and features a removable screw for closure. Measures 9 1/2 in. in diameter.